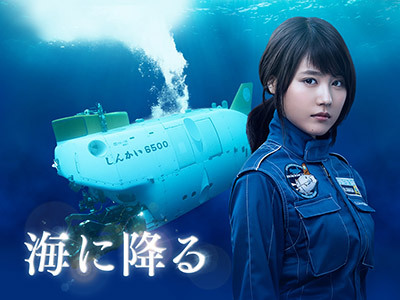 Newcomer Amaya Miyuki belongs to the crew of the manned research submersible Shinkai 6500 (6K) at the Japan Agency for Marine-Earth Science and Technology (JAMSTEC), and dreams of becoming the pilot of the 6K. 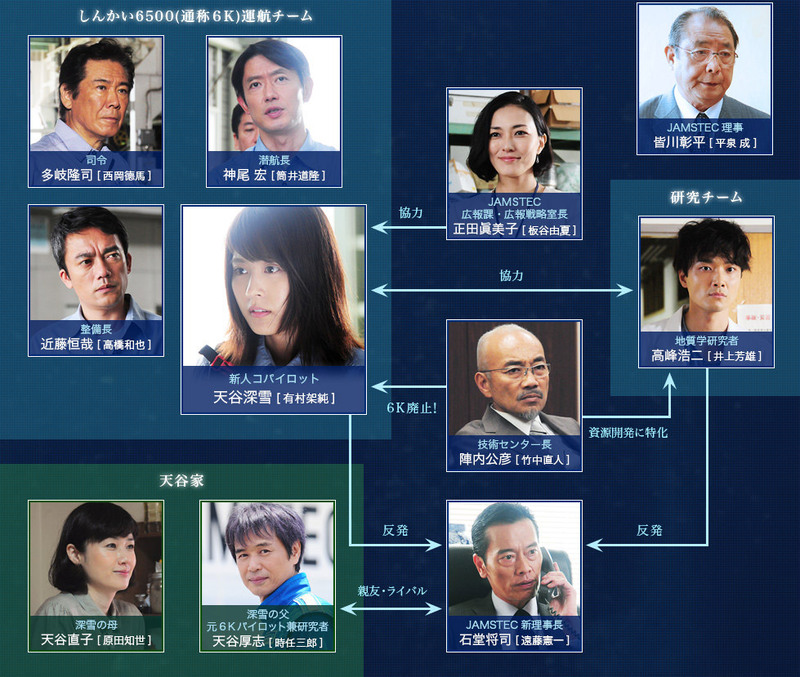 Her late father, Atsushi, had also been active as a brilliant pilot and researcher of JAMSTEC. He risked his own life to unravel the phenomenon called the �gabyssopelagic universe�h, but died of illness without fulfilling his life ambition. Miyuki is intent on exploring the deep sea that her father had told her about when she was a child, and devotes herself to her duties as a cadet pilot every day. Then one day, Miyuki gets the chance to board the 6K. JAMSTEC devotes itself to public relations activities on Japan�fs first female pilot. But right before her voyage, Miyuki finds a tape from her father�fs locker. It is a video that recorded enormous unknown objects and the fear of the pilots who were stranded in the deep sea. This also captured the last moments of her father. Seeing the shocking footage which bears no resemblance to the beautiful deep sea, Miyuki is assailed by an intense fear. Will she be able to come back safely from the dark deep sea?